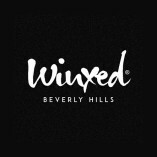 Welcome to Winxed of Beverly Hills, the best eyelash extension and enhancement salon located in the beautiful Beverly Hills, California. Serviced specifically by licensed estheticians dedicated to the art of individual, detailed eyelash... extensions. We provide dedicated to quality, customer service. We specialize in waxing, microblading, eyebrow and professional makeup artistry, plus we effort for your satisfaction.